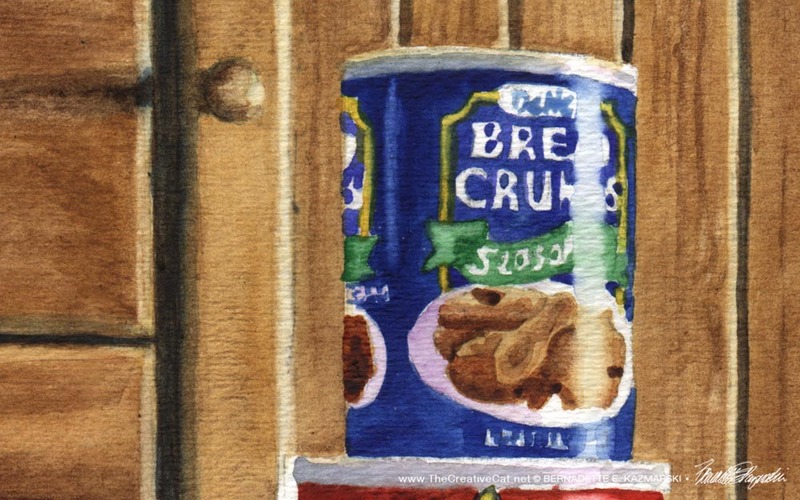 The reference photo for this painting is above, one of many I took over the course of nearly three months of occasionally sunny mornings January through March 2007 when Namir would finish breakfast then go bathe, sit and nap in the sun. 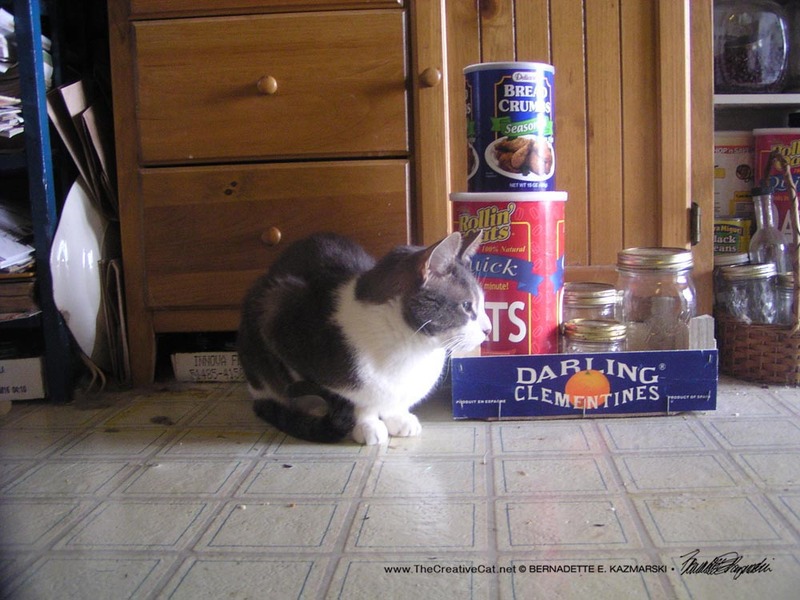 Namir’s posture and cattitude as well as items in the box and the box itself changed each day as it does in the course of my housekeeping; the angle of the sun changes as I took photos earlier and later and from different angles. I love them all and knew, as I had known with Peaches and Peonies, that I’d do a painting from this as well as having this series of photos. And as a part of our daily lives then, Stanley was still with us, 25 years old, enjoying what he could of each day until January 15 when he finally decided he was ready to transition to the next existence. 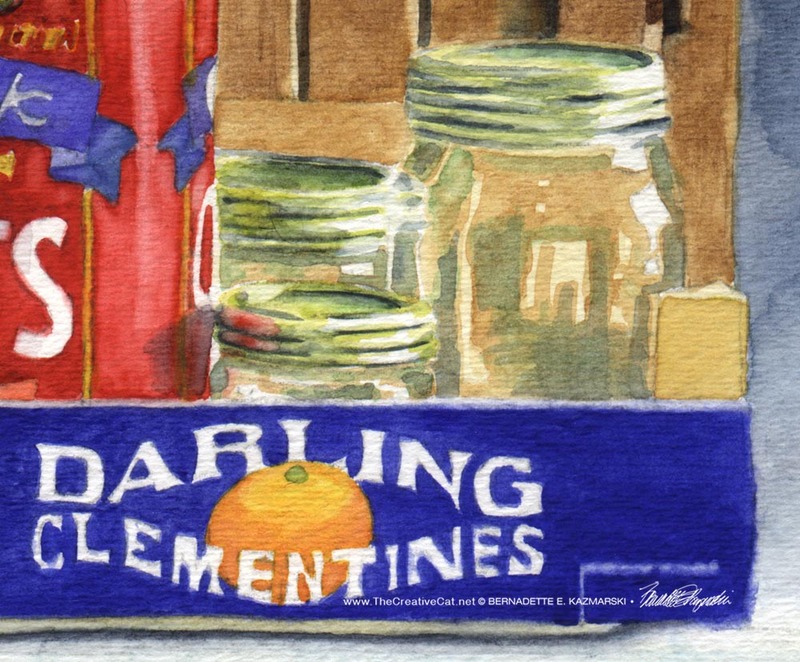 We all surrounded ourselves with beauty for that month and afterward and I have a truly lovely series of photos infused with memories which I will share here through the spring, but still, “Darling Clementine” won. I also offer it as a wood-mounted print, a tray, a tile, a gift bag…various other gift items. 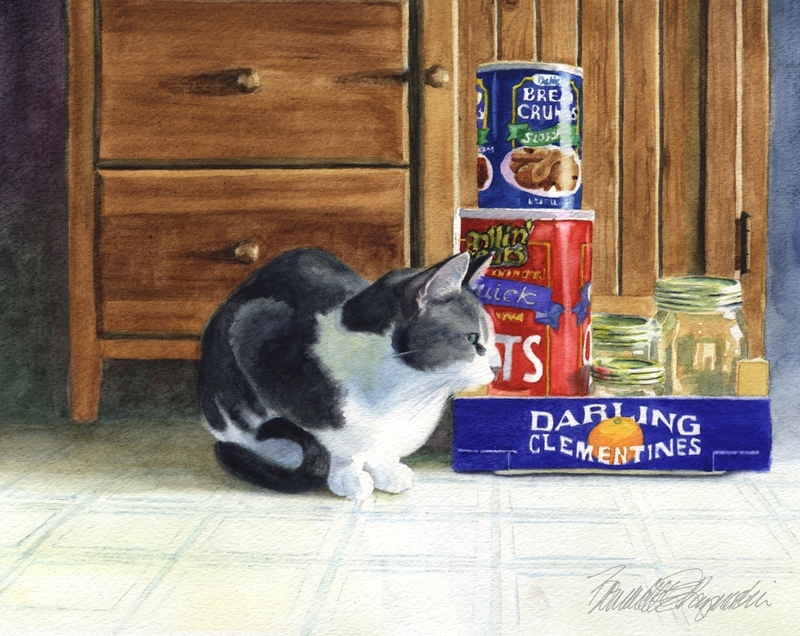 Click here to search Portraits of Animals for all items with Darling Clementine. 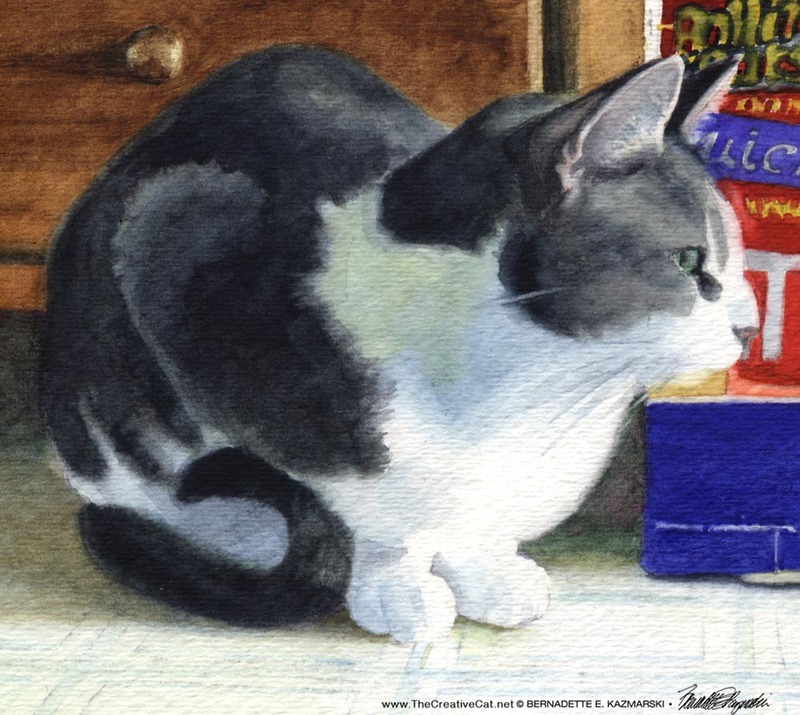 Each Wednesday I feature a piece of feline artwork from the archives to the present day, discuss its history and process, and often set it up as a free downloadable desktop calendar for just about every electronic device available.